Mark marries Marnie although she is a habitual thief and has serious psychological problems. One pattern emerges when I watch the work of Alfred Hitchcock: I seem to prefer his movies that go more for a horror vibe. As such, Psycho and The Birds have been my favorite Hitchcock flicks so far. I must admit that I've haven't been as enchanted by some of his psychological thrillers. 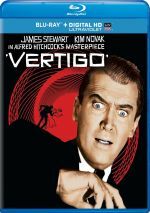 Actually, I rather liked 1940's Rebecca but despite its enormously strong reputation, 1958's Vertigo left me vaguely flat. Add 1964's Marnie to the list of good Hitchcock movies that just don't do a lot for me. I found the film to be moderately compelling, but it seemed more like stock Hitchcock and lacked much of the flair of his other efforts. Marnie Edgar (‘Tippi’ Hedren) gets secretarial jobs that she uses as a way to eventually steal from her employers. She also reacts negatively to the attention of men and freaks out when she sees the color red. Businessman Mark Rutland (Sean Connery) falls for Marnie and eventually gets her to marry him, but her off-putting behaviors persist. Mark needs to help Marnie work through their issues for their relationship to succeed. One aspect I dislike about Marnie stems from the dime-store psychology it features. Plenty of movies utilize psychological themes in their stories, but few hinge so strongly on a Freudian point of view. The whole tale revolves around the eventual reveal of Marnie's deep dark secret, one shown as the key to her problems. The entire thing gets built up so heavily that when the film reveals the revelation, it seems almost anti-climactic and predictable, and the fact that all of her issues and the things that trigger her "episodes" all clearly relate back to this one event stretches credulity. The psychoanalytic bent of Marnie also means that we're "treated" to scenes in which Mark runs Marnie through a series of psychological exercises such as free association. As I later learned in this disc's documentary, the film was supposed to include a psychiatrist character. Instead, Marnie incorporates those segments into Mark's role to make the part more appealing to stars. Unfortunately, that makes for some absurd viewing as Connery tries to play amateur psychologist and figure out what's wrong with Marnie. I couldn’t figure out why he cared so much. Yeah, Hedren's a babe, and I guess some guys like a challenge, but Marnie exhibits very few positive characteristics other than her beauty. The fact she's a raving nutbag should have been enough to scare Mark away. I guess the aspiring shrink in him couldn't resist the experience. It doesn't help that Hedren offers a pretty bad performance. Marnie goes through a wide variety of emotional states and Hedren simply isn’t up to the task. Hedren does perfectly well for herself in The Birds, but that role requires little from her other than icy beauty and abject fear. When required to flesh out a performance and create a very complicated person, Hedren can't do it, and Marnie comes across as little more than peeved most of the time. Connery seems decent as Mark, though his performance also lacks complexity. He appears somewhat stuck in Bond mode and doesn't do much with the emotional range needed for the part. Connery remains stoic and suave throughout the film. Actually, this helps Marnie in an odd way: since we know Bond loves a challenge, we can better understand 007 pursuing this babe than we could accept a more fully-realized normal person doing it. In addition to the less-than-convincing performances from the leads, Marnie simply runs much too long. The film goes for 130 minutes, which is at least 30 too many. The story would seem redundant in the best of circumstances - over and over we see how screwed up Marnie is - but the extended length makes the reinforcement of these points even more tiresome. I think a shorter, tighter cut would have allowed the film to become much more compelling. Though I'm not sure how much more interesting it could be, just because all of the "plot twists" seem telegraphed. I don't want to discuss them in case they may spoil it for you, but we easily figure out the background to Marnie's various aversions - the color red, men, loud noises - which makes the climax less stimulating and revealing. 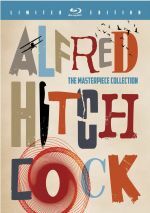 Hitchcock does little to turn the story more exciting. A few scenes appear well-staged - one in which Marnie tries to sneak out of a building past a cleaning woman delights - but most use such obvious and overbearing symbolism that they seem more like imitation Hitchcock than the real thing. Despite all these criticisms, I still find Marnie to be watchable and mildly entertaining. However, it clearly pales in comparison with Hitchcock's better work. Marnie appears in an aspect ratio of approximately 1.85:1 on this Blu-ray Disc. A messy presentation, the image became tough to swallow. Normally I welcome grain, but the grain of Marnie created substantial distractions, and not just because it pervaded the movie. The nature of the grain became an issue, as it often looked like someone tried to scrub the grain, decided this didn’t work and then added artificial grain. This left the movie with enormous chunks of grain that obscured much of the image’s potential positives. As such, sharpness usually appeared mediocre at best. Some of that stemmed from the soft “glamour photography” Hitchcock liked to utilize for leading ladies, but so much of the movie remained ill-defined that the concerns couldn’t be chalked up to cinematography. Occasionally I saw a shot that seemed accurate, but much of the flick appeared iffy and mushy. Some minor examples of jagged edges and moiré effects appeared, and I saw some mild edge haloes. In terms of print flaws, I noticed occasional specks and marks. These didn’t dominate, but they created distractions. Colors tended toward a brown orientation and they usually seemed bland. Occasional reds offered decent impact, though those swarms of grain muted their prominence. Overall, hues appeared bland. Blacks were acceptably dense – if a little crushed – while shadows tended to seem flat and somewhat inky. Ultimately, the absurd, unnatural grain became the dominant problem here, and the end result felt borderline unwatchable. At least the movie’s DTS-HD MA monaural soundtrack held up pretty well over the last 55 years. Despite some awkwardly dubbed lines, dialogue sounded fairly natural and full. The lines remained clear and intelligible at all times. Bernard Herrmann's score appeared crisp and bright, and effects were similarly accurately defined. At no point did the audio surpass era-based expectations, but the mix worked fine. How does the Blu-ray compare to the prior 2005 DVD? Audio seemed fairly similar, as the lossless Blu-ray track boasted a smidgen more range but not much given the nature of the source. As for visuals, the Blu-ray failed to become an improvement. The dominant grain of the BD made it tough to take, so this image was DVD quality at best most of the time. 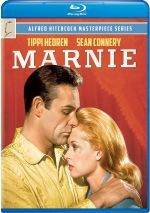 The Blu-ray replicates almost all of the extras from the DVD, and we open with a terrific documentary called The Trouble With Marnie. This piece runs for 58 minutes, 26 seconds and incorporates comments from cast members ‘Tippi’ Hedren, Diane Baker, and Louise Latham, rejected screenwriters Joseph Stefano and Evan Hunter, final screenwriter Jay Presson Allen, daughter Pat Hitchcock O'Connell, production designer Robert Boyle, makeup artist Howard Smit, unit manager Hilton Green, Hitchcock historian Robin Wood, Bernard Herrman biographer Steven C. Smith, and Hitchcock fan/filmmaker Peter Bogdanovich. This is a fine piece that succinctly and entertainingly summarizes the production of Marnie. The participants offer a lot of great information and anecdotes, and they all appear candid about the film and are not afraid to criticize it. I found it most valuable to hear from screenwriters Stefano and Hunter, since their work got left behind, but the entire program includes a lot of strong material. Frankly, I enjoyed the documentary more than I liked the film itself. The Marnie Archives presents a collection of movie posters plus production and publicity stills. Unlike the usual "stillframe" pieces, this one presents the material in a running nine-minute, one-second video montage that features Herrmann's score along with the images. It's a nice series of elements that deserves a look. Marnie's theatrical trailer appears. Like many other Hitchcock previews, this four minute and 45 second clip is quite entertaining and amusing. Hitchcock's ads were always much more clever and witty than others, and this one's no exception. Marnie offers a mildly provocative experience but doesn't live up to the standards Hitchcock established in prior films. It’s better than some of Hitch’s subsequent movies but it’s a steep drop from its predecessors. As for the Blu-ray, it offers relatively good audio and an informative documentary but picture quality seems surprisingly bad. The weak visuals make this a disappointing Blu-ray.